Catch basins are designed to divert runoff, helping to make sure when high volumes of water are running through the system, there is minimal overflow. Catch basins direct the flow of water controling erosion and eliminating problems with standing water and flooding. A catch basin is an inlet to the storm drain system. Stormwater enters the catch basin which can also capture sediment, debris and related pollutants into its sump. 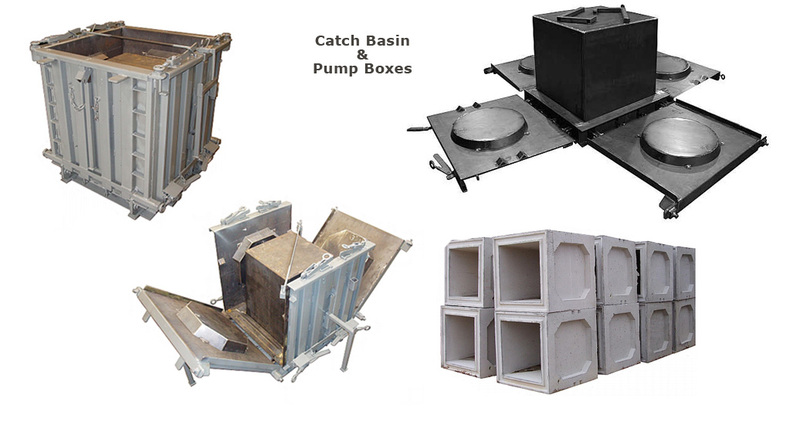 Our Standard Catch Basin Forms come in sizes: 2' x 2' x 2' thru 6' x 6' x 6'. Click Here to Follow Us on Youtube to View Our Demonstration Videos. Member of The National Federation of Independent Business Since 1976.